So how was my holiday? Well, very good thank you. Beautiful warm sunny weather, playing with Wee D on the beach, sipping coffee on pavement cafes with B, wandering through the historic and awe-inspiring narrow walkways of old Jerusalem – but hey, this is a blog about health, and liver transplant issues. So, for those of you like holiday snaps, I’m sure you’ll see them in due course, but for those of you keen to know how I got on taking my new liver on holiday with me – here’s your story. As you know, I was a bit nervous pre-flight. 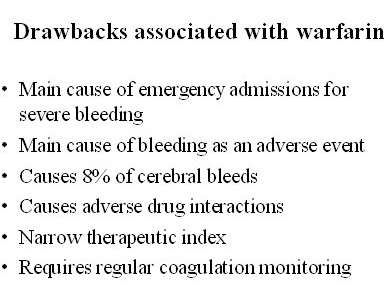 What would the effects of the Warfarin be in the compressed cabin of an aeroplane at 33,000 ft? Answer – nothing. How would I get by in a different country, different food, different climate etc etc? Answer – didn’t notice anything. To be honest I barely even remembered that I’d had a liver transplant recently. I say recently – of course I can now say that I had a liver transplant LAST YEAR. So, there you have it. Thankfully, an unremarkable blog post. But one that is all the more remarkable for the fact that it is – unremarkable. If you get my meaning. So, let me just say a Happy New Year to you – if you’re waiting for a transplant, I hope your wait is a short one. A day at the hospital. Mostly a wasted day. I had an anti-coag appointment at 11:00 – it took 5 mins. I had a post liver transplant appointment at 15:30. What to do? Go home and come back? Couldn’t face it. Anyway the first appointment went ok – my INR level was 2.2 – within the acceptable range so my Warfarin can stay at the same (high) dose of 7mg. Liver appointment was also fine. They stopped my magnesium (hated taking that), stopped my Ranitidine, Stopped my Ensure and da da da da da!!!!!!! Stopped my Prednisolone. (See yesterday’s post). Then they put Prednisolone back on again. Boo! And stopped MMF (stands for Microwskakasffnmsinff Miefjskiigj Feifnsnoi). And reduced my Tacrilimus to 4mg morning and evening. Did you get all that? Hey, I’m the one that’s gotta remember all this stuff! Yesterday I decided to be a good samaritan. But I got no takers. I left the house at around 16:30 – and returned two hours later. As I approached my front door, I noticed on the doorstep, just lying there – was a £20 note and a £10 note. They had fallen out of my pocket as I took my iPod when I left the house. And they were still there! No wind to blow it away. No rain to sodden it away. No hawkers to pick up on it. Couldn’t even give it away! For the second time in around 6 months, B and Wee D have gone off and left me. It’s B’s niece’s (well, mine also to be accurate) wedding in Israel on Thursday. I should be out there with them, but I can’t. Was advised not to fly… just yet. Good advice, I think when I consider the continued seeping from the alien stitch in my wound trying to be expelled by my faultering defence mechanism, it is probably the right decision. And then when you add in the seemingly endless battle to control the clotting of my blood by regular increasing of the dosage of Warfarin I am taking – up to 7mg a day now – BUT the good news on that front is that my INR went up to 2.1 (finally!!) which meant I could stop sticking needles into my stomach. Bonus. So I am on my own as of a few hours ago – lordy help the neighbours, as I have turned up the amp on my hi-fi system and am now blasting out noise from my seldom-used vinyl collection – sounds great. Sorry – that previous sentence should have read – I am really sad and am missing my wife and son immeasurably already, and just how am I going to get through the week? But I guess it’s quite a significant event for me too – it is a week I’ll be on my own for the first time since my transplant – first time alone – just me and my new liver – nice – sweet – time for bonding. So I come home from the airport drop-off and I switch on the telly to watch the tennis – Nadal v Djokovic – theyre not bad players – and I decide to make myself more comfortable by putting my slippers (not cool, but a fact nonetheless) and when I get to my bedroom, there on my pillow are a packet of Thai crackers, a bar of Cadbury Dairy Milk Caramel chocolate and a pack of Tunnock’s Caramel wafers. (Hey I didn’t realise till I wrote this that my surprise gift was so top heavy on the caramel side – but, hey, caramel is good). Now what a nice touch that is. Only someone who knows me well would know exactly what to leave for me as a surprise gift, eh… and now you also, of course, as you are reading this. I’m in love with you”. Hi Guys, sorry it’s been so long – it’s not that I haven’t had anything to write about – all is much the same as before. “you seem to be bleeding”! It’s not a phrase one particularly likes hearing – it’s not one I recall ever hearing – but I heard it today. So I look down at my shirt inside my suit jacket (see? smart boy, too!) and there it is – covered with dark red fresh blood (yes, I know blood usually is dark red – but I called this post Green Shirt, after the Elvis song, no not that Elvis, it wasn’t the colour of the shirt he wore when he was conscripted into the U.S. army, no, not his army shirt at all, plonker, the other Elvis, Costello, from his album… eh, Armed Forces (oh, maybe it was an army shirt after all) – and it was called Green Shirt, but not Red Shirt as would have befitted what I saw as I stared down earlier today – gosh this is getting confusing). Trouble was I had to go straight to school to pick up wee D and I didn’t have time to go home and sort myself out – what I did was, I got a piece of cloth (that wot i use to clean the car window with) and stuffed halfway down my trousers so that it was sticking up and creating soft absorbent barrier to prevent any blood spoiling my jacket. I closed my jacket – nobody ever closes their suit jacket – well, I dont anyway – but today I did. So there I was going into the school playground on a very warm day dressed in a dark grey suit, jacket closed and shades. I looked a proper spiv. And guess what? All the mums said – ooh David you look smart today. Needless to say I scarpered with a faint a smile before they got too close. And when I finally got home – goremongers, this is for you – I undressed (no, not that bit, goremongers), and found that the offending area of my torso that was bleeding was not as I had suspected – my seeping scar – no, it was the area that earlier in the day – as in 6 hours earlier – I had injected myself with Tinzaparin – and it is still bleeding! And my Warfarin dosage has gone up yet again – to 7 mg – the reason being that my blood is too thick and too likely to clot. Now you try and figure all that out – I am at a loss. I have to be guided by the experts, but something doesn’t seem quite right – it doesn’t appear that I am clotting easily at all – as my shirt would testify – but I am taking ever-increasing dosages of meds to prevent me clotting. 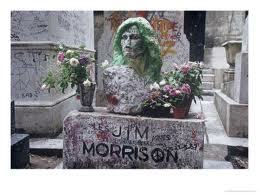 Ask Jim Morrison – I don’t know what it means either. Unless my goldmine is my new liver – and the accompanying scar tissue around the entry point to that pot of gold. If that is the case, then yes, there are some pretty (?) weird things going on. One day itching, another day pain. One day bleeding, another calm. Is it healing? Or not? After 4 and a half months, should I still be having such scar problems? I wouldn’t have thought so – but who am I? Still it’s taking my mind off worrying about my blood thinning project. My Warfarin dosage is steadily increasing – about a miligram per week – I’m up to 5mg a day now – had been down 2 (or even one, I think) and still making no inroads into my INR increase – which was 1.4 on last count. It needs to be at least 2.0. I am also administering Tinzaparin injections to my stomach on a daily basis – grief – you should see the state of my tummy. There was a time I was concerned about my wee boy seeing my naked torso – I am now too scared to even peak at it myself! On a positive note – and hey, we must always stay positive peeps, I was out and about yesterday meeting a lot of people, some of whom I hadn’t seen since before my transplant – and they all said how well I looked – so that’s something. I am a firm believer that you are as your are perceived to be. And if I am perceived to be looking well – then I am looking well. So there. Not been much to report lately, hence my lack of posts. But here’s where we are healthwise. All pretty good. The main issue I have is a curious one. Y’see for many years I have had a very low platelet count. Platelets are part of the blood that enables clotting – so it would logically stand that the fewer the quantity of platelets in the blood, the thinner the blood, and so the less chance of clotting (and the more chance of bleeding to death from a minor cut, natch). So, with that in mind, how was it that I needed a liver transplant due to a blood clot in the portal vein? But, what this means is that, having been prone to a blood clot in the portal vein, the docs don’t want a situation to arise again that precipitates another blood clot (I don’t really want it either). So, I am prescribed Warfarin – to thin my blood. I say to thin my blood – here’s how they measure it. A normal person (if such a thing exists) has an INR of 1. Firstly, what does INR mean? Is it some sort elongated medical term only known by its acronym? Well, sort of. Bizarrely (to me) it stands for Internationally Normalized Ratio. Let’s stick to INR. So, most people are 1. That’s the level. The plateau. But my INR needs to be nearer 2 for the docs to be happy. What does 2 mean? It means simply, that it would take twice as long for my blood to clot as a normal 1. Nothing to worry about there then. Now, some weeks ago, you may remember I was due to have an ERCP procedure, but they called it off at the last minute due to my INR being at 4.9 (therefore it would take me almost 5 times as long to clot as normal – not recommend for a surgical procedure). I have even been up to the dizzy heights of 6.0 recently – when I was told, that if I cut myself even slightly I should rush to casualty. Curiously the dosage of Warfarin I was taking at that time was 2Mg and 3Mg alternate days. Now, I am taking 4mg a day – and I am struggling to get above a level of 1.5. It all seems a bit illogical to me. A bit hit and miss. But I mention this merely to try and appease the Goremongers, who must have been bored out of their minds lately, and to simply explain to you that my liver is doing fine (I call it MY liver now – decided I am not giving this one back) and that this is my main problem right now. Ok, doing a bit of work now, before gearing my self up for a week away in a cottage in the South Coast with B and Wee D.
Btw, for completists, A Certain Ratio, the punk-ish band of the late 70’s took their name from a lyric in an ENO song called The True Wheel from his album, Taking Tiger Mountain (By Strategy). Of course. Have to confess I haven’t heard that song since I was a schoolboy. I think I even thought it was a bit risky (risk-ay) and hid it from my parents – my little secret having a record with a swear word on it. I’d be interested in hearing the Crime of the Century album in its entirety again – I know Supertramp became a hideous radio-friendly safe AOR American-audience type sell-out bunch of sheisters who made gazillions – but I have a recollection that this early effort of theirs was pretty good – but I was very young and had no taste (unlike now – where I am very old and have no taste). Anyway I use the title for the blood connection. Tomorrow is my scheduled ERCP to finally (hopefully) remove my attachment. Last time out, pop-pickers, you may remember they aborted the mission due to my INR blood levels being way too high – so to prepare myself for tomorrow I have been on a plan – a bridging plan – to try and ensure my clotting levels are right for the procedure. I stopped Warfarin last Wednesday. Went 3 days of abstension followed by 2 days of Heparin injections leading up to tomorrow. As of this weekend – well yesterday my wound was so painful I couldn’t even go on my pathetically short walk – I tried it – but turned back. The nausea was still there, but maybe slightly easier. Today – much better. Went on my longer walk – felt good. The nausea again was slightly easier – though not gone completely. Anyway, endoscopy tomorrow. I think maybe even @drobeirne may be doing it. If he is I must remember to tell him that the district nurse has spotted a couple of transparent stitches on my wound that perhaps should have dissolved but haven’t – and quite how she spotted them if they are indeed transparent I’ll never know – anyway maybe @drobeirne is reading this so he’ll know anyway. Oh I do so hate the bit when they stick the tube down – must try and remember @sawbofeller method – something like sticking the 3rd finger of left hand inside the right ear, crossing legs 3 times and shouting Whoputthebompinthebompshoobompshoobomp as loud as possible.